Motorscooter Muse: Motor Scooters: cheap, ecological transportation. Motor Scooters: cheap, ecological transportation. We who love riding motorscooters and recognize the economic and ecological value of scootering are mystified by how little scooters are used in the US. In many parts of the world, it is hard to take a picture of a busy intersection without finding 15 scooters in it. In much of the US, one is unlikely to see a single scooter in half an hour watching an intersection (one non-rigorous sampling in a heavily trafficked random Southern California intersection yielded only one scooter in an hour and a half). We hope to change that. 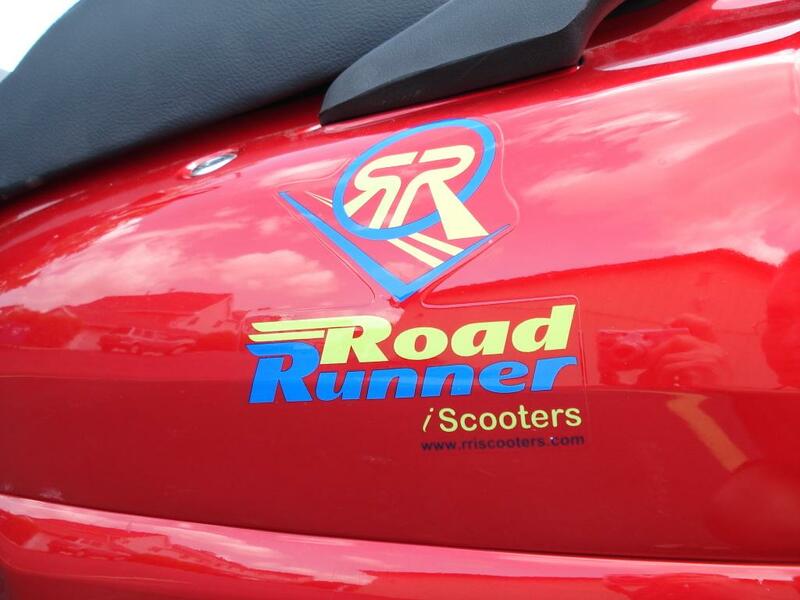 If you are considering the purchase of a road-ready scooter, already have one, or are simply an enthusiast, this is the right place to be. If you have been here before, be sure to see our What's New Page. The motorscooter differs widely in concept from its close relative, the motorcycle. The motorcycle is very clearly a machine � it's got bits of machine sticking out all over the place, bits of motor showing there, tubes here, wires there, an unmistakable gas tank bloating out and exposed and a great roar is emitted from the engine. Oh yes, it also has a seat and footrests, almost as though they were an afterthought. The motorscooter, on the other hand, is much more about the human -- the rider and passenger. It's easy to step into a scooter without having to swing one's leg over. There is a comfortable floor for one's feet. 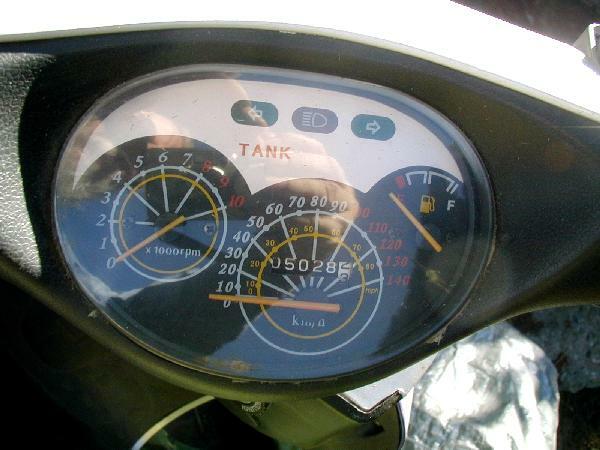 Controls are minimal and very easy to use, noise output subdued, and the engine, fluids, fuel tank, wiring are all safely tucked away behind designer panels, cowling and fairings. The noisy, oily, hot, smelly, metallic power of the machine is not a part of the scooter riding experience. Instead, the scooter is more like an elegant piece of furniture whose whose look and feel is dictated not by the machine below but by aesthetics and the ergonomics of the human interface above. Riding a motorcycle is rather like going on an ocean cruise and spending all one's time in the engine room instead of in luxury cabins and lounges. The motorcycle is consciously and unabashedly unevolved though it certainly inspires an atavistic primordial fascination. 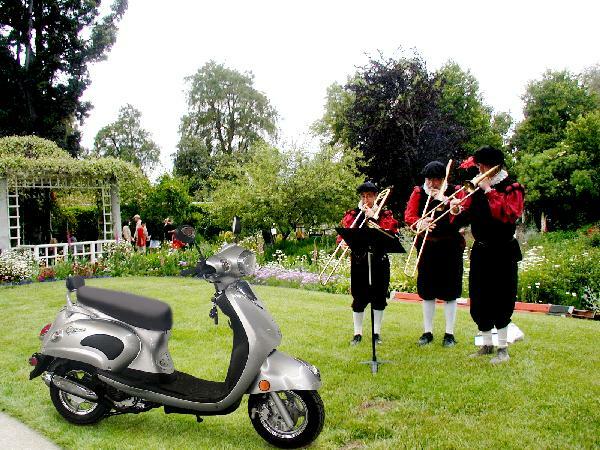 The motorscooter, however, exemplifies intelligent evolution. Looks like the high maintenance model. When gasoline topped $3 in California, I reconsidered my old childhood dream of acquiring a motor scooter. The time was right. With the price of an inexpensive scooter being approximately equivalent to that of twelve tanks of gas in our van, and the glaring statistic that the break-even point � the point at which it would have paid for itself, insurance, and extraneous costs in gas savings -- was about 5000 miles, the justification for this frivolous expenditure was irrefutable (see Motor Scooter Economy). It has since paid for itself in gas savings, and many times over in convenience and enjoyment. 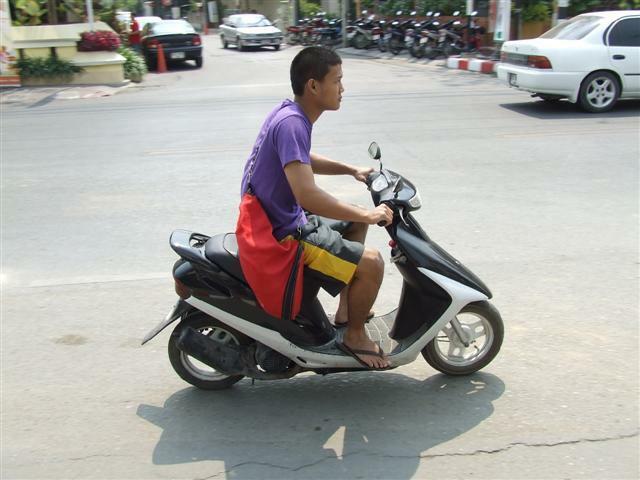 Fuel economy and emission reduction alone justify the decision to use motorscooters for local commuting, but the history and image of the motor scooter are also major factors in its acceptance throughout the world and its gradual increase in popularity in the States. See Motorscooter Advantages. This can be a tricky challenge. If you are a teenager trying to persuade your parents, an octagenarian looking for a new experience, or just a parent going through a midlife crisis and trying to persuade her children that she has not gone entirely bananas, we have attempted to put a set of cogent arguments together for you. Our goal is to put you on a scooter. If you have parents or a spouse (or even children) who need persuading that you should have a scooter, see our Motorscooter Economy page -- we have all of the arguments prepared for you in a handy email form. Our Motorscooter Return on Investment calculator will tell you how much your monthly gas savings would be with a range of scooters of different sizes and speeds given the price of gas, the gas mileage you get in your current vehicle, and the length of your commute. It will also tell you how much you will save each month and how long it will take for your scooter to pay for itself. Motor scooter technology has improved a great deal since the early two-cycle machines of the 50s and 60s and the scooter world has split largely between devotees to the classic-design high quality scooters of Italian and American make (commonly upwards of $4000), and the modern Chinese imports, some quite reputable at a fraction of the price -- with the better established Japanese, Korean, and Taiwanese machines somewhere in between. The lines are increasingly hazy though, with many off the high-end expensive scooters, including Vespa, Piaggio, Aprilia etc., using parts made in Asia and some Chinese scooters using Japanese parts, such arbitrary distinctions are not meaningful. Indeed, the largest Vespa factory in the world is in Vietnam. There is also growing partiticipation by Electric Scooters, a technology which has seen such improvement that they have become a very viable option for commuting. Buying an economical scooter online can be very confusing, as prices and quality (not to mention street legality) of inexpensive scooters varies widely. After much research, we have created our Best Scooter Deals page to simplify finding the best deal on reputable, well supported, inexpensive scooters -- commonly ranging in price from $750 to $2000 delivered. Whichever style one chooses, the simple, economical elegance of the scooter sets it kilometers apart from any other form of transportation. No license, insurance, registration required. This scooter qualifies as a bicycle. Many would-be scooter riders fear that buying a scooter online is a very risky business, that it is too easy for online distributers to ignore customer queries, complaints, and problems. This assumption is also strongly encouraged by brick-and-mortar dealerships. The reality of online scooter purchasing is another story. Yes, there are unscrupulous online dealers who ignore their customers, but these generally don't stay in business for very long. Some dealers have generally good track records over a number of years and have many satisfied customers. These are the ones we like. Yes, it is possible to acquire a brand new street and freeway legal motor scooter online for as little $939 (See Basic Scooters) or a classic design scooter for about the same price (See Classic Motorscooters). Prices of smaller minimalist non-freeway models and some Electric Scooters are even lower and stand-up scooters run as low as $200 - $300, with high performance and luxury scooters running up to about $2000, still far less than more established makes which can cost much more (often approaching $5000). At the same time, there are some poor quality brands available online which are often virtually indistinguishable from the better brands. One characteristic of inexpensive scooters is that repair costs (See Motorscooter Repair) are naturally going to be more as a percentage of the price of the scooter than would be the case with a more expensive scooter. Though the actual cost of repair may not differ greatly, if faced with a $600 repair prospect (and trouble-shooting can be tricky with any machine), the $999 scooter owner is more likely to opt for a new scooter than is the $4000 Vespa owner. This innate disposability is somewhat unfortunate from an ecological perspective but is definitely a factor in the ownership of an inexpensive scooter in a developed country. On the other hand, the milage achieved with a Vespa is not particularly good and is even surpassed by some fuel-efficient cars, let alone by modern high-efficiency inexpensive scooters. On these pages, you will probably find all the information you need in these pages to decide if a motor scooter is in your future and which one makes the most sense. 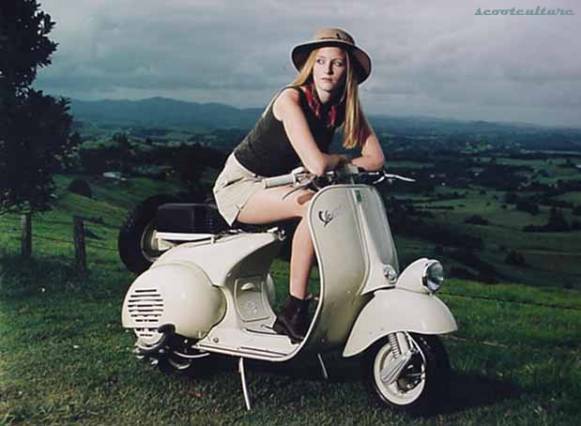 There is also much information about some of the problems that are likely to arise when taking the more inexpensive route to scooter ownership and how to overcome them as well as a good deal that will help you enjoy your scooter and ride safely ecologically, and economically, hopefully for many years. Be sure to read the Motorcycle Safety Foundation Manual: Your Scooter. It is full of useful information about riding safely. Our Motorscooter FAQ pages answers many common (and some rather uncommon ones) about scootering. Our Motorscooter Books page contains a few of the best works on the subject and to fill all the little holes in scooter ownership and ancillary equipment, we have created a Essential Scooterist Kit which provides a list with links for acquiring, at very little cost, such essentials as insurance and helmets, as well as all of all the little things that add to scooter experience, convenience, and safety. A search of scooter info on the net yielded many conflicting claims, utterly inscrutable stats, and rarely any answers to the questions one really needs answers to. The Auto Club was less than useless when asked: �What defines a motor scooter, a motorcycle, a motor-driven cycle , and a moped?� �What is legal in California? Why aren't certain models?� They explained: �We're not trained to answer those questions.� I knew better than to go to the DMV directly and so resigned myself to hunting down the answers in verifiable DMV and other source documents and researching their practical application. I went on to examine what was available in dealerships and online and the relative advantages of each. This research is reflected in these pages. Many dealer websites have lots of useless hype ("You will be very excited when you receive your ..." and similar drivel) which tells one nothing useful at all about the product, and we have attempted to fill that gap through research into the products available, their features, and the track records of the vendors. We have also created a fairly comprehensive listing of scooter repair facilities and online parts vendors specializing in scooter parts (who often know a great deal more about replacement parts than do the vendors). In states outside California, there are many more motorscooter possibilities than in California (see Motorscootering in California) where California Air Resources Board (CARB) approval for vehicles is much harder to get. The California climate is particularly conducive to scooter usage however -- the wife of San Deigo's mayor drives one and their popularlity as increased 300% since 2000 (See Scoot Over San Diego). However, the California freeway system is not particulary scooter-friendly and should be used only with the larger highway scooters. Many are unaware of the low prices of low-end Chinese scooters See Scooter Economy, and, although many scooters have gone up in price with the weak dollar, gasoline prices have increased even more. With some cheap scooters running for less than $1000, and many going for less than $1500, the return on a motorscooter investment can be just about a year, a compelling argument for them. Try out our Motorscooter Return On Investment Calculator to determine how long it will take for a motorscooter to pay for itself given the type of scooter, your commute, and current gas prices. Scooters are such an obvious and elegant solution to simple transportation in a world of steeply rising gas prices. The Italian Motorscooters are excellent, as are Hondas (Japan) and Kymcos (Taiwan) and are the way to go if cost is not a factor. However, as cost so often is a factor in the decision, it is the inexpensive scooters which are most likely to make a motorscooter revoltuion possible and those can be a viable option. This site started several years ago when I bought my first inexpensive scooter. I have never regretted getting it and still ride it nearly every day. During that time, other scooter enthusiasts from many places in the US as well as Taiwan, Thailand, Italy, the UK, South Africa, etc., who have joined in and contributed articles, pictures and information deserve a great deal of credit for its success -- and it does seem that we have one of the most informative, best written and best illustrated motorscooter sites around. We hope that you will find scooters a part of your future and will recommend them to others. Third-party advertising companies serve ads when you visit this website. These companies may use information (not including your name, address, email address, or telephone number) about your visits to this and other websites in order to provide advertisements about goods and services of interest to you. If you would like more information about this practice and to know your choices about not having this information used by these companies, click here. Note on motorscooter vendors: The vendors recommended in our recommended scooters pages are those whom we consider to be deserving of endorsement, either from personal experience, or from a reputation deserved by satisfying many contented and enthusiastic customers. Some of these vendors have affiliate programs in which Motorscooter Muse participates but we have no connection with most of them and that is not a criterion in our endorsements. Of course, vendors, both local and online, do not always find it possible to satisfy all customers under all conditions and it is harder to support online customers. 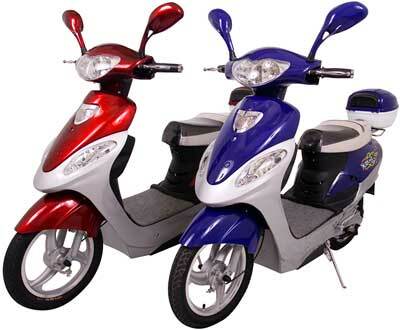 See buying motorscooters online.
"" "A motorscooter is a motorcycle with a sense of proportion "